At Guernsey Water we appreciate and value our responsibilities as stewards of our island's water, all the way from source-to-sea. This means we take great care to ensure that water keeps running from our source waters, through the treatment and supply of drinking water to our customers' taps and finally, through the collection and safe return of wastewater to our surrounding coastal sea. Through these processes we are trusted to provide good quality water for the everyday lives and leisure activities of all our customers; we support our economy by providing and collecting water from businesses and we carefully manage our island's water environment. 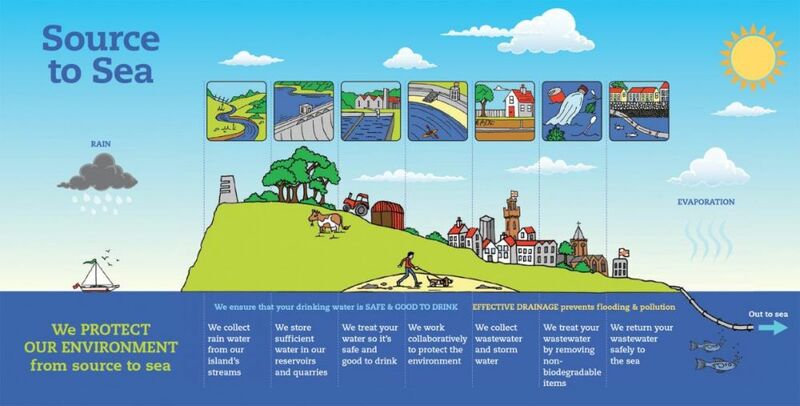 Guernsey Water, and what we do, is right at the heart of our island community.